How to Get UK Green Card in 2016 . If you are interested in relocating permanently to the UK, you are probably wondering how to get UK Green Card in 2016. Firstly, there is no such thing as a Green Card in the UK; however you can apply for a UK permanent residence card, which is pretty much the same thing. While permanent residency is not quite the same thing as citizenship of the country, it is a first step towards it, and will allow you leave to remain in the country for as long as you like - unlike other types of UK visa which only grant you leave to remain for a specific period of time. 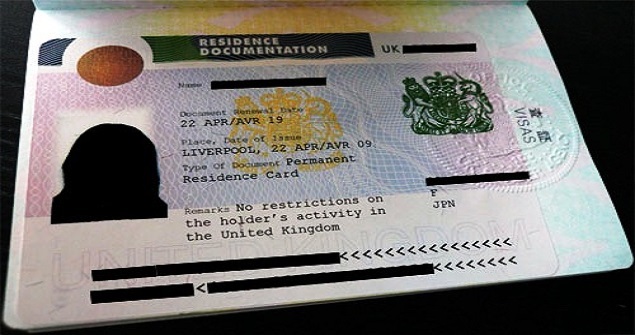 Who Is Eligible For A UK Permanent Residence Card? There are several ways in which you can be eligible to apply for a UK permanent residence card. Firstly, you have to have been resident with a family member in the UK who is already a member of the European Economic Area (EEA) for a period of not less than five years. This family member must have permanent right of residence within the EEA or must have been a qualified person within the EEA during this five year period. You are also entitled to apply for permanent residency if you have been continuously residing in the UK for 5 years and you have held an EEA residence card or permit through this time as you are an extended family member of an EEA national. If you have been living in the UK continuously for 5 years, initially as a family member and then with retained right of residence you can also apply. There are some circumstances in which you can apply for permanent residency before a five year period has expired. This includes if you have been living with an EEA national family member in the UK in the period immediately before they passed away, if your family member who was working in the UK then retired or became unable to work due to disability or if your EEA national family member took up employment in a different EEA country but returns to the UK on a weekly basis. If you meet the eligibility criteria, you can submit a permanent residency application form. This can be downloaded from the Gov.uk website, completed and then posted to the Home Office. You must submit the relevant supporting documentation at the same time as you submit your application and you must also pay the required fee which is currently £65 per head. As part of your residency application, you will also be required to submit bio-metric information for each applicant. This can be submitted at several branches of the Post Office and is subject to a fee of £19.20. This involves having a digital photograph of your face taken, your fingerprints being scanned on a glass screen and your signature being recorded. This entire information taking process is very quick, taking under five minutes. If you are applying on behalf of a child under 6 years old, there is no need for their fingerprints to be taken; they are only required to have their digital photograph submitted. As well as the bio metric information, the application form and the required fee, you must submit certain supporting paperwork. This includes your current passport, two up to date passport photographs, a passport photo of your sponsor who must be an EEA national, your sponsor's passport, evidence of your relationship to your sponsor such as a marriage certificate or birth certificate as well as evidence that your sponsor is an EEA national or qualified person or that you qualify as you have retained right of residence. Depending on your application, there may be other essential documentation that you will have to submit.